S4.2.1 Older Lexus immobiliser system with separated immo box and Texas transponder (4D by Silca). Immobiliser box are located near to ignition key. Usually this is black or brown box marked “immobilizer” or “134.2 kHz”. Remove immobiliser ECU from the car and open it. Find 93C66 EEPROM in DIP package. Use A5 or A4 adapter and follow CarProg instruction to program transponder key. 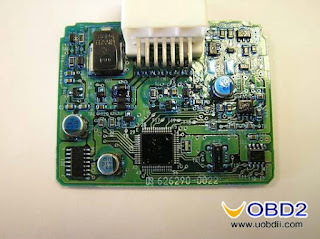 Short quartz resonator for in-circuit EEPROM programming or remove 93C66 from immobiliser board. 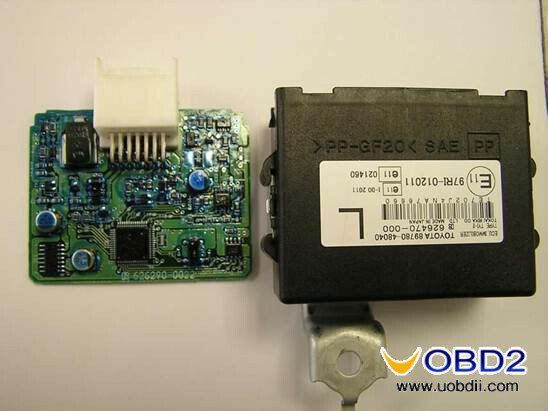 S4.2.2 Lexus immobiliser system with transponder antenna and AMP unit on the ignition key and motor ECU. Used in 1999 – 2003 Lexus cars. Use A6 or A4 adapter and follow CarProg instruction to program transponder key. 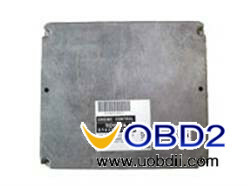 Short quartz resonator for in-circuit EEPROM programming or remove 93C56 from ECU board. S4.2.3 New Lexus cars with Texas Crypto transponder (4D by Silca). 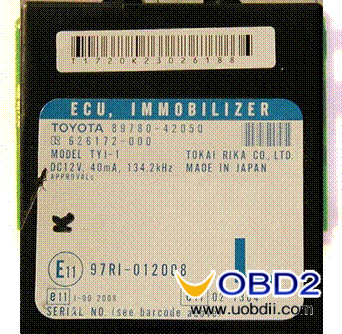 Transponder key is stored in separated immobiliser unit marked “ECU IMMOBILIZER”. Remove immobiliser ECU from the car, open it and find 93LC66 SMD EEPROM. Use only original factory key. With Silca 4D transponder car will not start. 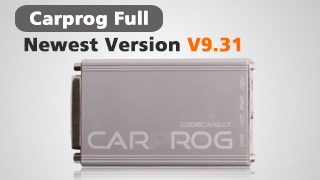 Use A6 or A4 adapter and follow CarProg instruction to program transponder key. Short quartz resonator for in-circuit EEPROM programming or remove 93C66 from immobiliser board.